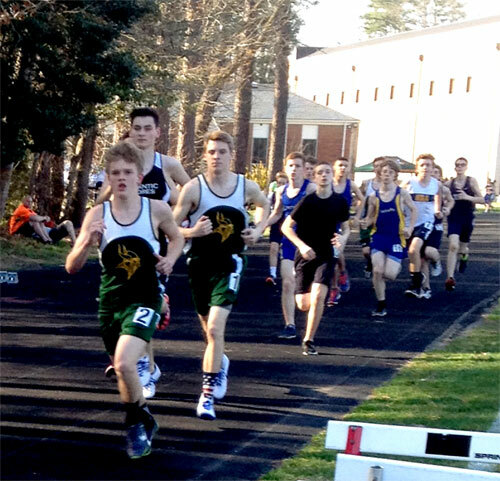 On a beautiful, warm March afternoon, with temperatures climbing into the mid-80s, top teams from central and southern Virginia met at picturesque Walsingham Academy for the first track meet of the year. Broadwater, building on previous successes, established Coach Hack’s team as a force to be reckoned with. Major Morgan, once again dominant for the varsity boys, finished first in the high jump and 3rd overall in the long jump. Broadwater discus throwers were on fire, as Kevin Prettyman came in 2nd, with Bodie Arvidson and Hayden Mabalot finishing 5th and 6th. 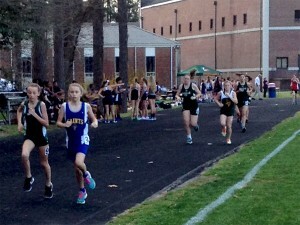 Robbie Parker, in a tactically beautiful race, claimed 3rd in the grueling 3200 meter. Sawyer Coulbourne captured 1st in the boys 800 and 1600. Adam Buell rocked a 5th with a very smooth and well thought out race in the 800 meter. Robby Parker took 2nd in a gutsy 1600 performance. Chris Locklear and Gunner Gustafson captured 1st in the JV boys 110 and 300 meter hurdles, respectively. Gustafson also garnered 1st in the JV boys triple jump. Finn Kelly took no quarter, finishing first in the JV boys long jump. The Broadwater girls also put the rest of the state on notice, led by Sophie Watson’s beast-mode performance, taking 1st in the 3200 meter run. Lauren McClaskey put a in a solid performance, taking 4th in a very talented field of 100 meter hurdlers. Kate Gomer, Sydney Parks, Carly Wardius, and Sophie Watson took 3rd in the girls varsity 4×100 relay. Carly Wardius pulled in a 4th place finish with a superbly executed series of triple jumps. Jaylah Jones was one of the big surprises, taking home a 4th place in the discus throw. Samantha Coulbourne took 4th in tough bracket for the JV girls 200 meter dash. 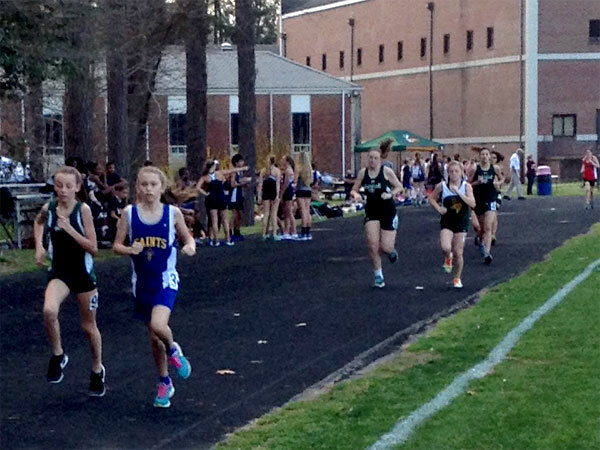 In the JV girls 800 meter run, a dominant Carly Wardius easily took 1st , with Carrie Watson and Ronnie Guinan finishing 3rd and 4th respectively. Reagan Hill took 1st in the JV girls 300 meter hurdles. Anna Paige Pittman led the team of Savannah Anderson, Hannah Buchholz and Carrie Watson to 2nd place in the JV girls 4×100 relay. Rising superstar Ronnie Guinan led her team of Carrie Watson, Hannah Buchholz and Reagan Hill to a stunning 2nd place in the JV girls 4×400 relay. 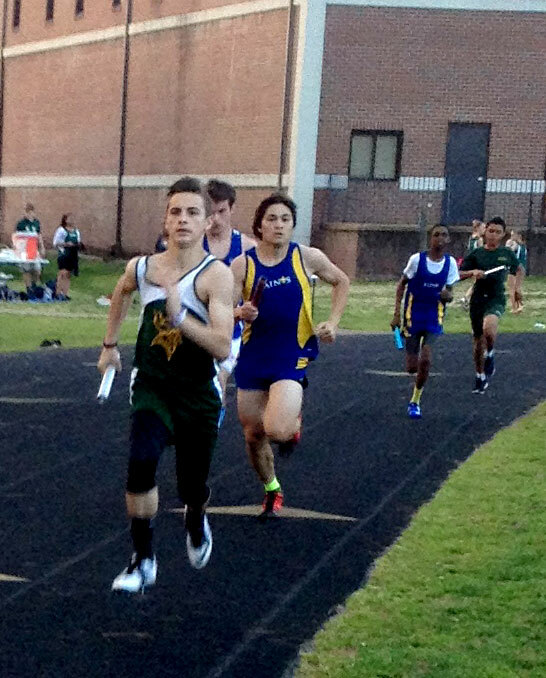 The night ended on a frenetic note as freshman Joey Creed led off for Sawyer Coulbourne, Chris Locklear and Major Morgan in the absurdly hyper-talented boys varsity 4×400 meter relay. Creed and Coulbourne kept things tight, and entering the 3rd leg, Chris Locklear kept pace, even narrowing the margin. Leaving nothing left on the track, Major Morgan fought to the wire, narrowly coming in 4th behind the Hampton Roads anchor Jack Teagle.